After a very short night wrapped into a modest brown blanket, I got up pretty early in the morning. On my way downstairs I met an elderly man who pointed at me and said, almost accusatory, “Colazione“! That is not my name, Sir, but if you insist, you can just keep on calling me that. I must have looked at the gentleman very doubtfully, so he exclaimed “Uh, breakfast!” – “Sì“? I replied, not in the least less doubtful. “Downstairs, downstairs!” the man excitedly gesticulated towards a flight of stairs, from which I could already make out voices. “Grazie“, I smiled. When I got to the breakfast area, a small, but comfortably enough room, a small lady with a big smile greeted me in Italian and pointed at the tables. She must have realised that I didn’t understand a single word, so she asked “Español?” Sure, why not. “Sí“, I affirmed, so the lady enthusiastically explained to me that I could sit wherever I want and that I could serve myself as I pleased. I thanked her and chose a spot in the corner, where I had a good overview over both people and the food selection, which was very scarce. I roamed the room for something edible and decided on hot chocolate from a coffee machine, one of those typical round white breads that you will find almost everywhere in Italy, and a croissant filled with jam. Trying to be as little of a burden as I possible could, I grabbed my breakfast plate, cup and leftovers and asked the breakfast lady where to put them. She looked surprised and said she would’ve taken care of it, but I assured her that it was no effort at all. Back in my room, I packed my belongings and already dreaded the walk back to that bus stop from yesterday. It turned out that in the daytime, Rome seemed to look like a much friendlier place though, and what had seemed like an at least two-mile walk to me yesterday was really not so much as 400 metres. In the middle of the street a huge, lively market was taking place. I made my way through various fruit and vegetable stands and all that mumbo jumbo, and much to my delight almost immediately found bus number 90, that would bring me back to Termini. Once inside of the bus, I asked an elderly man of around 70, where I would able to purchase a ticket. He’d start talking in Italian and I would reply in English and none of us really got their point across. Finally he reached out his hand and I put money into it. Looking back at it, I still feel really awkward about it, because the man dropped the money and in an enraged voice said “no!” (I understood that). The money rolled all over the floor and out of the bus, and the man shrugged. Somehow, he made me understand that you had to purchase the ticket prior to your trip. Well, there hadn’t been any biglietterias in, what I am sure was a five-mile radius, so I stubbornly decided to stay anyway. So here I was on a bus in Rome, without a ticket and praying at every halt the bus driver made, that he wouldn’t call the carabiniere and have me thrown into the Italian jail. I wasn’t literally praying. I was more like appealing to some higher being that might or might not exist. The elderly man I had addressed before, however, started talking loudly to himself. Maybe that was what Italians did when they got bored on the bus? When the talking wouldn’t cease and none of the other people on the bus seemed to be imitating his behaviour, I realised that the man was praying. I was ashamed and also somewhat offended. Did this pious Catholic soul pray for this poor, wretched, ticketless Austrian, so his Catholic God would spare me from purgatory? Arriving at Termini, I once more paid the ludicrous fee of 16€ that made me want to growl like a bulldog on a bad day, but I decided on not looking like the odd one out and patiently waited on the train like everybody else. I arrived approximately three hours early at the airport and before I could pass through to the check-in counter, a man and a woman asked me where I was going. “To Canada”. – “Do you have a visa?” -“I don’t need a visa”. -“Do you have a return ticket?” Obviously. “Yes”, I replied, somewhat growing impatiently. “What are you doing in Canada”? The man, who blocked my way to the check-in counter, asked. I had to restrain myself from being sarcastic and asking “What are YOU doing in Canada?” and instead replied, “Oh, touristy things and stuff”. That seemed to be good enough of an answer and I finally got my ticket issued. My destination was to be Terminal 3, which I supposed was used for non-European flights. In order to get there, one had to get into some sort of metro that transported you, not underground but actually overground, somewhat like a roller coaster, but not as fast and scary, to the terminal. I still had more than two hours to kill before the boarding would start, so I did what any average Joe or Jane would do on their visit in Italy, and got myself some pizza. Don’t judge me, I know you would too. Two and a half hours later I found myself wondering why the boarding still hadn’t begun and why I was the only one wondering about it. Besides, the screen that I hadn’t paid any mind to for about an hour suddenly said “Moskow”. By now it finally dawned on me that somehing was terribly wrong. I asked the lady at the counter what happened to the flight to Montréal and she said, as calmly as can be, that they had changed the gate. Great. How about informing the passengers? I rushed to the other gate and to my relief found that the boarding hadn’t even started yet. On the plane, I discovered that I had an entire row all to myself. The itinerary on the overhead screens announced that it would take us precisely nine hours to arrive in Montréal. I hoped I would be able to fall asleep but this seemed to be an impossible undertaking. Everyone around me was snoring and lying around in the most hilarious positions, but I kept staring at the screens that updated the itinerary, watched Veronica Mars and fastened and unfastened my seatbelt, which sadly enough was the only entertainment I got. Nine hours later, I was already jetlagged and sore, we finally landed in Canada. A couple of hours before that, the air hostesses had handed us declaration cards everyone was required to fill out for the Canadian border agency. Speaking of which, I spent two hours queuing up at customs, just to talk to a bored-looking guy that asked me the standard questions of “What are you doing in Canada?”, “Do you have a return ticket?”, “For how long will you stay?” and without further ado granted me my visa. By the time I was allowed to leave the customs area, I was worried whether my luggage might have already been transferred to some other unknown destination, because it had been more than two hours since the plane had landed, but again I was lucky. I told myself not to despair or fall asleep, grabbed my luggage and started looking for a bus that would take me downtown, which was a lot easier to find than any bus in Rome. I addressed the bus driver, a rather sour-looking woman, where I had to get off and she said it was the last stop. Great. That meant I had one less, one less problem. On the bus, there weren’t any signs to indicate where the journey was going either, so the lady bus driver just yelled out every bus stop with extreme annoyance. I remembered the first time I had travelled to Montréal. It was in 2003 and I was twelve years old. It would be my very first flight, I travelled all by myself and I would never look at things the same after that journey. I remember being impressed by the eternal drives on illuminated motorways, the skyline of Montréal in the background and a heart that was dancing with joy. Back then, I was never able to linger, since my grandfather, this crazy, admireable man I love so much, lived in Ontario, the neighbouring province of Québec. My grandfather is a whole different story. When he was well over fifty, he suddenly decided that he wanted to emigrate to Canada. Thus far, he had lived in a small village in Upper Austria for his entire life, raising four children (one of whom was my mother) and then he got curious. He started reading books about Canada and ended up being so fascinated, that he just took a flight to Canada to see for himself. Like me, he returned a changed man and his decision was made – he would pack his wife, my grandmother, and oldest son – and move to Canada. I still look up to him for having had the courage to leave everything that he loved behind him and start somewhere new and I owe so much gratitude to him for having given me the opportunity to fall in love with this country in the same way that he did. I got off at the terminal station and, unsurprisingly, had no clue where I was. I asked every person imagineable, if they knew the street where my hotel was at, and everyone gave me the same answer: “Walk straight ahead, take the first street left and walk down a couple of blocks.” Have I mentioned that I am terrible at understanding directions? I might as well not ask, because I always get lost anyway, like this time. Again, it was getting dark and I was just getting desperate, running down every side road with my heavy luggage, until I finally found the hotel. It was the most run-down, shabby-looking place I had ever seen, but at that point, I was beyond caring. I rang the alarm at the “reception”, that was basically a back room clogged with various items ranging from furniture to blankets, a fridge and a surveillance camera. I sincerely apologized to the man at the reception for the delay. He more or less patiently listened to my story and then asked me my name. When I told him, he said that my reservation had been cancelled. “What?” – “Well, your credit card could not be authorised”, the man said somewhat apologetically. I explained that I didn’t have a credit card but that I would be able to pay in cash. The man at the reception said that the entire hotel was complet. “Are you saying that you don’t have a single room left?” I was devastated. The man thought for a while and since I probably looked like a pitiful stray dog to him, he said he would try and fix something up for me. I would, however, have to pay twice the price. I was shocked, but I agreed. “Thirty minutes”, the guy said, “the room will be ready in thirty minutes. Go and have a cup of coffee somewhere”. I don’t even like coffee. I went across the street to the only shop that seemed to be open and as I was really thirsty, I treated myself to an over-sweetened drink and some water. I tried striking up a conversation with the guy behind the counter, who must have been around my age. He said that he was sorry, but he barely knew how to speak English. I frankly was too afraid to speak French because I was certain I would make a fool out of myself. I didn’t want to wait outside on the street, because I was too exhausted, so I asked the owner whether I could wait inside. Instead of the owner, a young, dark-skinned man with glasses of around my age opened the door and asked me to come into the VIP section behind the reception counter. I took a seat at the couch and slurped away at my drink. The young guy said he was sorry but he didn’t speak English, so unless a miracle was about to happen, we would not be communicating. “Euh,” I commenced, “mon vol a été en retard et je suis fatiguée parce qu’il a duré neuf heures“. The young man opened his mouth and gave me the same look that a person, who had just found out that they won the lottery, would have given me. “Donc, tu parles français“? No, no I really didn’t and I felt so ashamed that my ears were probably burning, but I was trying. Most of what he said, I understood perfectly fine, however responding was an entirely different story. “People in Québec are very proud of their language and culture”, he explained, “but their French is not easy to understand. When I first got here, it took me a whole while to realise that “ääää” actually meant “un“. I was very much amused. The young receptionist explained that he was from Algeria and that he had a visa that permitted him to stay for ten months. “However, as an immigrant to Québec”, he exclaimed, “you need to learn both French and English. I don’t see the point in that when everyone speaks French around here anyway!” That was a good point. I started telling the guy about my long trip, that I hadn’t slept in forever and that I was dead tired. “Oh, every time I fly”, he said, “it usually takes me around nine hours as well. And I am always so uncomfortable because one can barely move and everyone around me is sleeping but I just can’t!” – “Haha, same here”, I concurred. “Your room is ready”, the owner yelled from upstairs. I felt it was a pity, because that meant that I had to stop this conversation. The young man helped me carry my bags upstairs, said he had enjoyed the conversation very much, and wished me a nice stay. “Maybe we’ll talk tomorrow”, he added. – Wherever you go, don’t, I said don’t start scanning the news(papers) for any bad news on the area you are going to. You will find that there are bad news all over the place, and knowing certain things won’t be helpful but will on the contrary cloud your judgement and make you worried. – Be open-minded. Not everyone speaks your language, but they are not supposed to. With a little effort on your part, which includes not being rude, you will get an entirely different reaction from people. – Compare prices of hotels online. You will find that they vary from one website to another. – Compare flights but be cautious of additional costs like credit card fees, baggage fees, insurance fees etc. – Speaking of hotels, don’t set your standards too high. You probably won’t be spending much time in them anyway. –Stay away from taxis. I mean it. Don’t be afraid of using public transports like buses, the metro etc. -Find a good balance between splurging yourself and spending too much money. If you spend too little, you will soon feel resentful and if you spend too much, you will soon be out of money. 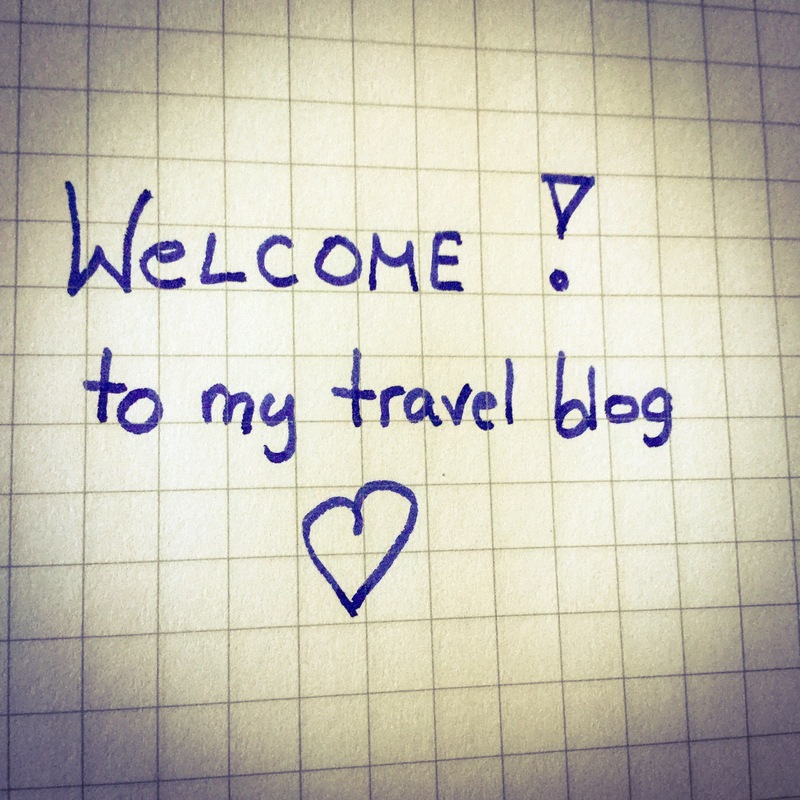 To whom it may concern, welcome to my travel blog. I hope you enjoy your stay. When in Rome, do as the Romans do. But how do I know how the Romans do, when they do? I have to admit that I am beyond excited. And by that I mean that I get about as enthusiastic as a small child flying for the first time. My eye widen, my face automatically puts on a huge smile that nobody could wipe off, and I am deeply impressed by everything I see, hear and smell. To sum it up, to me travelling equals happiness. Being on airports adds to that happiness. I love airports. I love the feeling you get when you are travelling somewhere. I love how everyone seems so busy. I even love the smell of airports. I am not really sure how to describe their smell, but I suppose it is a mixture between perfume (there are an infinity of duty-free perfume stores everywhere, as if they were going out of style), freshly brewed coffee – in case you have a jetlag that is begging for a cure- desinfectant and people. Yes, people. You think that people don’t smell? Well, think again. It gets even more complex when people are wearing perfume, but that would be going way too far, so I am not even going to go there. So here I am, carrying around my heavy suitcase that doesn’t have any wheels, sweating and secretly cursing that I chose this ancient suitcase (that is definitely out of style) over the other, basically brand new one I have got with wheels. But since it stands for a reason (that I might or might not reveal), I have to bite my tongue and put up with the sweating. I check in at the flight company’s counter, where a friendly, dark-skinned woman with a big smile greets me. I present my passport and the online ticket I had printed out beforehand. “Is this a valid ticket”? I ask her in English. – “Yes, it is, but I have to print you a new one anyway”. – “Oh, okay”. – “Do you have any luggage to check in?” the lady at the counter asks. Yeah, yes I do and so I present my old, ancient suitcase that doesn’t even have wheels. “Actually, I do”, I say and this time I say it in German. “Oh, first English, now German?” the lady at the counter is obviously glad not to have to continue this conversation in a foreign language. I smile and admit that I am confused. I mean, it is an international airport we are talking about and I am surrounded by so many people speaking a multitude of languages, that it is no surprise really. “Is my hand luggage alright?” I show her my second, slightly smaller suitcase with wheels. “Hang on, let me weigh that”, she offers. Thank you. I think this lady is very helpful. 7.8 kg. “Yes, that works”, she says. “8 kg is allowed, no?” – I ask. “Precisely”, the lady nods. “Phew, that was close”, I say and at the same time I wonder why the hell I am trying to strike up a happy conversation, which is totally unlike grumpy, unapproachable me. But now I am giddy and looking forward to a million things. The lady smiles and pretends like she hasn’t heard my last words (or maybe she actually hasn’t), hands me my boarding pass and wishes me a great flight. I get this elevated feeling, as if I am the one who is doing the flying and not the plane. At the same time my stomach is competing with a thunderstorm and I decide to do something about it. Between all of the bookshops, last-minute-gift shops, shops offering traditional Austrian things etc. etc., I discover what seems to be a small bistro. Even before I know what I want, I take a look at the prices and suddenly I am not hungry anymore. “Do you have anything vegetarian?” I ask. The lady at the counter, who doesn’t look particularly happy about having to work (either that, or serving me) considers for a moment and then says “Only this wrap with cheese”. I am looking at half a wrap for 7 €. I am about to ask if the wrap also contains diamonds, but am able to hold back with a lot of effort. Instead I say, don’t you have a vegetarian ciabatta, as if I was facing my biggest disappointment in life (when in reality I just wanted to distract from my shock about the prices). It works. The lady is sorry. “I am sorry”, she says and I move on with an air of dignity. So I guess I am not eating. The waiting area is crowded with people. Every seat in sight is occupied and people are standing around, obviously impatient about and annoyed at the apparent delay in boarding. A lady from the flight company approaches me, points at my hand luggage and says “Our flight is completely outbooked, so we are looking for people who are willing to check in their hand luggage with the regular bags.” That was just fine by me, but cheapskate as I am, I asked her for the price. “There is no additional charge”. Swell! The lady wraps a tag around my suitcase, hands me the baggage claim ticket, smiles and leaves . So far, things are looking great. I spend the rest of my time observing people around me. They are a mix of couples dreaming of spending a romantic vacation in Rome, businesspeople and single ladies in the prime of their years (between 40 and 50), wanting to explore the city’s sights. One of them was constantly calling someone on the phone, updating the person on the other end about what was going on (nothing). The group of women in their prime years start making breathing exercises (at least I assume that is what it was) and start talking about this or that foolproof herbal healing method and other hippie treatments they found in a certain book, but I lost interest. We were finally able to board and it turned out the plane was big enough for all of us. I had previously checked in online, so I was sure to have a window seat. Next to me, a young couple, presumably around twenty, were eager to loudly discuss their vacation, which included -why would it be any different-eating pizza. The aircraft that goes by the name of Vueling, was apparently operated by a Spanish-speaking crew. One air hostess, a lady with red lipstick and brown eyes, that I immediately liked, was trying her hardest to be friendly to everyone and always put on a smile. The safety instructions were given in both Spanish and English and immediately the youngsters next to me were complaining that “how dare they speak Spanish or English, because they can’t expect everyone to understand that”. The woman in the seat before me, a blonde Austrian woman in her early fourties travelling with her son remarked that she had only understood the first half of what was being said in English. On the inside I was rolling my eyes so hard, that they are probably still spinning. Sure, it is not like English is a global language pretty much everyone learns at school, so everybody should just learn German, which is only spoken in about 2 1/2 countries in Europe. I mean, Hitler would have loved that idea, I am sure. (In case you weren’t able to tell that I was being sarcastic, you’d better stop reading because it is only going to get worse). To avoid having to listen to further comments coming from the kids next to me, I took a nap. Apparently I fell asleep and pretty much missed the entire flight (which was only 1 h and 30 minutes anyway)… all I knew is that when we landed in Rome, it was already pretty late. There had been a delay of more than one hour. I had told my hosts I would be there at 7 o’clock p.m. Yeah. That was not going to happen. It took me forever to even find the conveyer band responsible for the baggage from Vienna. There were like eleven of them and no screen or sign indicated where one could find anything. There was a screen at number eleven, but it showed all incoming flights at once, so I was none the wiser. Everything was already chaotic and I hadn’t even properly arrived. I decided to stick with the few familiar faces I still recognized from the flight and just waited for what seemed like eternity, but was most likely only thirty minutes. Then the machine finally spit out the luggage onto the conveyer band. I grabbed my suitcase without wheels and my other bag and got the hell out of the airport. Challenge number two was going to be how to get to the central train station in Rome, called “Termini”. I left the security area through the Uscita and there were approximately hundred Italian men in black suits holding up cards with people’s names and yelling them out at random. All I wanted was to get to the trains, so I patiently followed the signs, that somewhat contradicted themselves, until I got to the platforms. In Rome, you won’t get anywhere following signs. If you want to arrive at your destination, you’ll have to use common sense and the knowledge of locals. So I asked the ticket guy for a ticket to Termini, and he said “16 Euros”. Cheapskate me was shocked yet again. Are you serious? I thought, “and where is my free Gucci bag?” (Not that I am into that but I am not able to come up with anything as remotely expensive). When I looked at the ticket, I was surprised to find that it was first class. Hey, I didn’t order that. Wow, that totally explains the price. There wasn’t a second class in Italy? I had never travelled first class on any public transport, but it turned out to just be an ordinary train. Again, I had to wait for another thirty minutes to get the vehicle going. If anything happens in Rome, it happens slowly. Let us make the exception of traffic, because Italians love their fast cars and don’t care much for traffic lights. The train arrived at Termini thirty minutes later and there was nothing or nowhere that indicated where one was supposed to go (again), when one was ready and willing to find a bus and people at the information ironically refused to give information (They literally put up a sign that said that). Instead of figuring out the problem by thinking about it, the method I usually prefer, I just decided to act instead by descending down to the metro. By now I was sick and tired of wasting time and if there is any place except for a doctor’s waiting room or Facebook to waste one’s time and try one’s patience, it’s an airport. Also, it was getting darker by the moment. I don’t think I found the metro, but instead I became aware of a sign that indicated that there must be buses somewhere. So I first went downstairs, then went upstairs again, got lost and heading into the wrong direction for a while, before deciding that the signs for the buses pointed into a different direction than where they actually were. At the vending machine that was issuing tickets, I approached some Italian guy in his late fourties who looked fairly official. “Excuse me. Do you know where bus number 90 leaves?” I am not much into talking to strangers, but this was an emergency. “Bus”? the man looked at me bewildered. I don’t know what the Italian word for “bus” is, but it must sound entirely different to elicit that amount of confusion. I pointed out to where the buses were to give him a hint, and added “Number 90”? This time, the guy understood what I meant and explained to me that I wouldn’t be able to buy the bus tickets at this very vending machine, but that there was an information counter “over there”, where I would be able to purchase one. He pointed into a random direction and added that I would have to wait for bus number 90 at gate C. So I followed the obscure direction the well-meaning Italian had given me, only to realise that everywhere around me the information counters were already closed. Fortunately, there was this one man who didn’t look particularly happy about having to serve people after closing time, as he constantly repeated. (Then why don’t you just close your shop and go home?). Not only that, but the first of May was also a religious holiday in Rome. So the closing time guy grumpily handed me my ticket and I went to Gate C where I waited for the bus with a motley crew of people from all origins. When the bus finally entered the gate, it was crowded right from the beginning. There were so many people that you could hardly stand. What is more is that the stops would not be announced anywhere (there was also no screen indicating where the journey was going), so people seemed to get on and off the bus at random. As a tourist and non-local, I was royally screwed. Even more people were trying to get onto the already overcrowded bus. At every other sharp turn the driver made, people were having a bumping festival. I needed to get off. I did know the name of the bus station where I was supposed to get off, but no clue where it was located. Like I have mentioned before, the bus driver was being anything but helpful so after about 10 stops I asked this friendly-looking Italian lady where the Corso Sempere was. The woman in question didn’t really speak English but I got my point across to her, so she nudged me when it was time to get off and said something in Italian that I did not understand. So here I was in the middle of nowhere and dark was already covering the city with a thick, black blanket. I observed my surroundings, which mainly consisted of some bars. Before I knew what I was doing, I approached one of them. A group of Italian men were sitting around just enjoying their drinks and talking to each other and soon noticed me and my most likely very desperate-looking visage. I asked them if they could help me and they replied in excellent English. It was kind of intimidating talking to a large group of unknown foreign men, but they were being very helpful and gave me precise directions. Thing is, I am very bad at following directions, so all I understood was: walk down the street forever, then go left and you will find a grey building. The men asked me if they should help me with my luggage but I quickly replied that it would not be necessary, mille grazie. So I kept on walking and walking and it was getting darker every second. I was tired, exhausted, in bad need of a shower and just wanted to to fall asleep. I passed a bakery (that was surprisingly) open, left my dignity in front of its door and asked the staff if they knew where the hotel was. They didn’t seem to know any English, so with the last energy I posessed, I uttered: “Hablan Español”? That obviously worked magic and the lady at the bakery said I was heading into the right direction (good to know), but that I needed to keep on walking (by then, every bone of my body was in pain). Out of gratitude and thirst I bought an iced tea. Arriving at the hotel, I just rang the bell, waiting for the gates to what seemed to be a monastery, to open. In the main hall, that basically appeared to be a gigantic religious shrine, I first and foremost apologized to the guy at the reception for the delay. He replied that everything was fine and handed me different sheets of paper to fill out. I asked him to translate them to me, but he explained that his English didn’t really suffice for that purpose. The receptionist scanned my passport as thoroughly as if he were a custom officer looking for fraud, and after an eternity had passed by, I finally received my room keys. “First floor to the right”, he explained and I dragged my heavy luggage up that flight of stairs. Since I was surrounded by pitch-black darkness, I started wondering about the apparent lack of light switches. They were nowhere to be found, so I just fought my way through the dark, trying to find room #112. I pressed the only button that remotely looked like a light switch to me, but it sooned turned out to be the fire alarm. My bad. I tried to pretend like nothing was happening and continued to my room, which was very small but also clean and somewhat neat. I had been informed previously that I would be staying at a religious hotel (that one was not allowed to enter or leave after midnight), so Jesus on the cross didn’t really surprise me. The one thing that profoundly confused me though was the fact that there was no electrical outlet anywhere to be found. How on earth can a hotel provide wireless internet and forget about the small but significant details like guests having to be able to charge their electronic gadgets to use it in the first place?